Egypt’s Minister of Electricity and Energy supports the 2nd Annual Egypt Power and Electricity Summit in January 2014. As the Egyptian government is working on developing its economy and infrastructure, it has become crucial for the country to improve its electricity sector and provide uninterrupted electric power supply to its population and industries. To further strengthen its development plans, the Ministry of Electricity and Energy has implemented the national 5-year plan for electricity expansion (2012-2017). Supported by, and under the patronage, of His Excellency Ahmed Emam Shaaban, the Minister of Electricity and Energy, the 2nd Annual Egypt Power and Electricity is taking place on the 27-28 January 2014, at the Fairmont Heliopolis Hotel in Cairo, Egypt. The Summit will shed light on the 5-year plan, diversifying the Egyptian electric power industry and expanding the country’s conventional and renewable energy market focusing on funding and technology solutions for wind and solar power. The summit is researched and organised by IQPC (the International Quality & Productivity Center), and is supported by the Egyptian Ministry of Electricity and Energy, the summit’s Platinum sponsor, Al Kharafi National Company, and Omicron as a Lanyard sponsor. His Excellency will inaugurate the summit and provide a keynote speech during the opening ceremony. The summit will be attended by senior government representatives, international investors and bankers, technology and solution providers, and renewable energy experts and professionals. 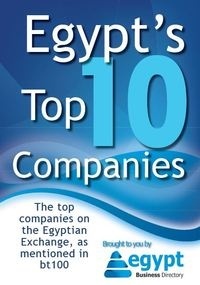 Some of the participating organisations include: Ministry of Electricity and Energy, Egypt Electric Holding Company, New and Renewable Energy Agency, World Bank, Ministry of Finance, Ministry of Housing, Al Kharafi National Company, Regional Center for Renewable Energy and Energy Efficiency, Egypt Electric Transmission Company, and the European Bank for Reconstruction and Development. Over the two days of the summit, leading industry experts will discuss the most pressing strategic issues relating to Egypt’s electricity and renewable energy legal and financial framework, and develop strategies that will help drive the development of the industry. Participating senior speakers include: Eng. Fathalla Shalaby, Chairman of the Egyptian Electric Transmission Company; Eng. Samy Abozeid, Infrastructure Department Head at the Ministry of Housing; Mr. Atter Hannoura, Head of PPP Central Unit at the Ministry of Finance; Mr. Harry Boyd-Carpenter, Senior Banker for Power and Energy Utilities with the European Bank for Reconstruction and Development; and Dr. Galal Osman, Board Member of the International Solar Energy Society (ISES) and President of the Egypt Wind Energy Association. The summit will also feature a world-class line up of international and local experts and solutions providers who will showcase technological innovations and offer solutions to the challenges facing the country’s power industry.